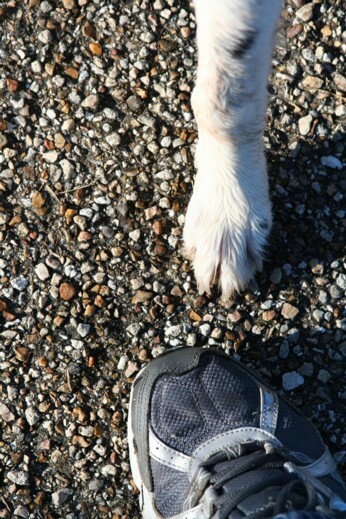 Obession has a name and it is Border Collie. Although I consider myself a relative newcomer to the breed, their quirky behaviors don't surprise me a bit. I've had Belgian Shepherds for many years and am used to high-drive, creative dogs. Most of that time I cautioned the casual observer that they did NOT want one of those dogs unless they were able to devote a great deal of time to them. With the Border Collie, I must add this though: "You must be prepared to live with someone who has all the creativity of a 5 year old child, without the thumbs." Quirky is the word that most aptly describes them. Lily's intelligence is scarey. In my past life, before I went into police work, I taught middle school for ten years, and I can assure you, Lily has more focus than the average 12 year old child. If she had thumbs, there is no doubt she would be building Science projects in my living room while she watched the Discovery Channel. Instead, when she is not working livestock, she is coming up with creative ways to entertain herself and help around the farm. (A Border Collie really would re-wire the light fixture when asked to change the light bulb!) Part of the problem is that her idea of help is to dominate every other breathing creature under her watch and force them to tow the imaginary line of rules that she sets forth. She is "the Fun Police." Lily is that child in the classroom who asks the teacher if she can "take names" when the instructor steps out. 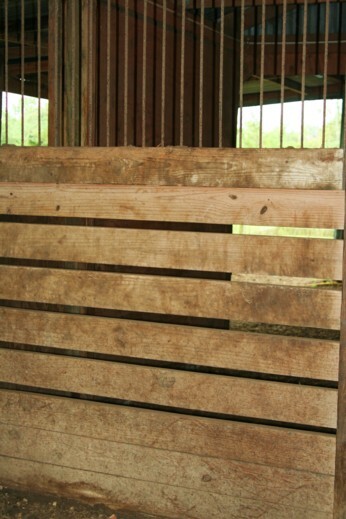 Look at the boards in my barn. 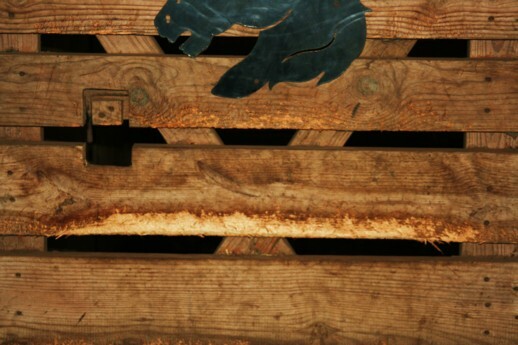 Yes, it looks like a child playing with a chain saw whittled at them. Our suspect is pacing back and forth under her artwork. 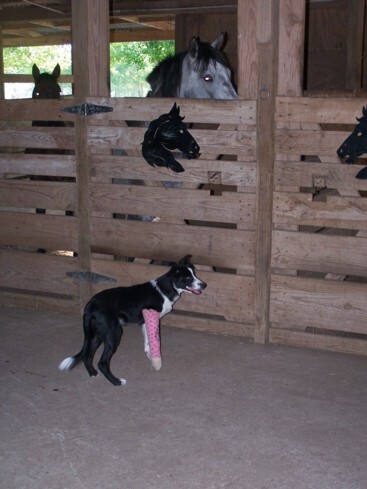 When she was four months old, she leaped up at a horse's face, stuck her skinny little leg between the boards and fell. Her leg broke in two places. Okay, THAT took the wind out of her sails for the next 24 hours. But later, after she sported a little pink cast, she was back in business! I taught Lily to close the gate. I stepped back and proclaimed "This is good." 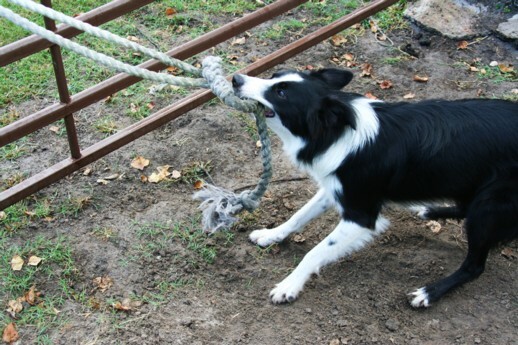 But it was not good enough for a Border Collie as unfortunately now she cannot pass that gate without closing it . . . again . . . and again . . . and again. Other Half thought it was funny. He demonstrated his new Nazi Hunter when I got home from work that evening. I was not amused. Neither were the Barn cats. Neither was the House Cat. An obsession was born. Cowboy cannot ride in the pick-up, the 4Wheeler or the Mule without reaching out and snapping at passing cars, passing tree limbs, or shadows. Since he is a rescue, we have no idea where this obsession sprang. If you scream at him for slamming into the window when you're driving down the road at 60 mph, he will sulk for a moment and then begin to lick the windows instead. Ohhhh. . . grossssss . 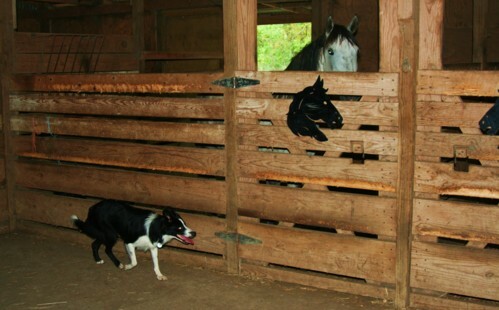 . .
Now people argue that Border collies without jobs create these weird obsessions, but I cry NAY! (neigh!!!!) 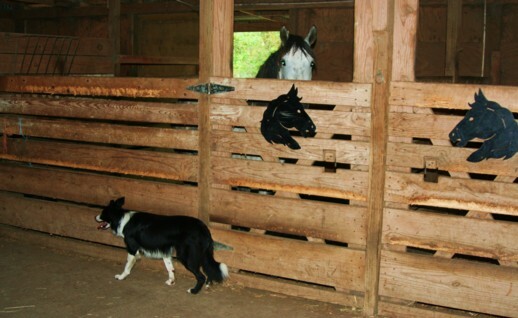 My Border Collies have jobs! (well, Lily does, because of his back problems, Cowboy is just a Truck Dog now.) 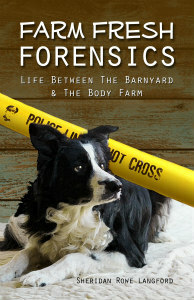 Lily works livestock; she has constant mental and physical stimulation, and she is STILL a nutcase! But I love her, and wouldn't have her any other way, because with a creative dog, you are only limited by your imagination and their lack of thumbs. Unfortunately, folks don't do their homework when it comes to these amazing dogs. 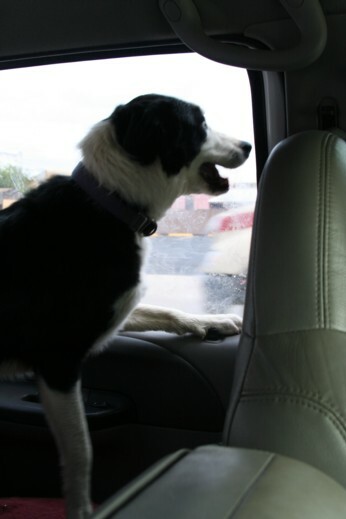 Our shelters in Austin are full of two kinds of dogs--Border Collies and Pitbulls. I'm glad yours have work to do. Interesting information. I always assumed that they were only manic if they didn't have a job. Oh noooo! Lily HAS a job! Many jobs! BUT . . . that said, this makes them remarkably easy to train to do anything. Reinforce it, and it's set in cement! I feel that's why it's so important to make sure you don't reinforce ANYTHING you don't want them to accidentally obsess over. girl, that's why I love my English Shepherds. Awesome farm dogs, but they have an off switch and lack the 'spaz' that goes with BC. Now, bloodlines are everything, but man they're fantastic farm dogs. My 4 1/2 month old is amazing me with his smarts every day! That sounds like a great opportunity! Let me know how you like it!